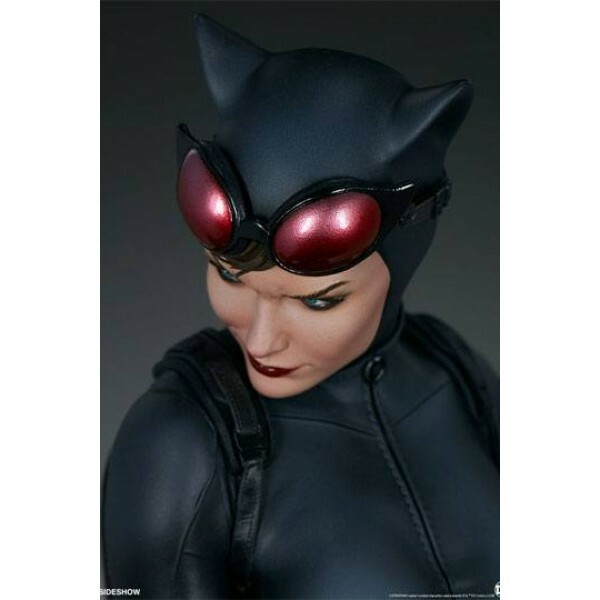 Sideshow is proud to present the Catwoman Premium Format™ Figure, slinking her way into Sideshow's universe of DC Comics collectibles. 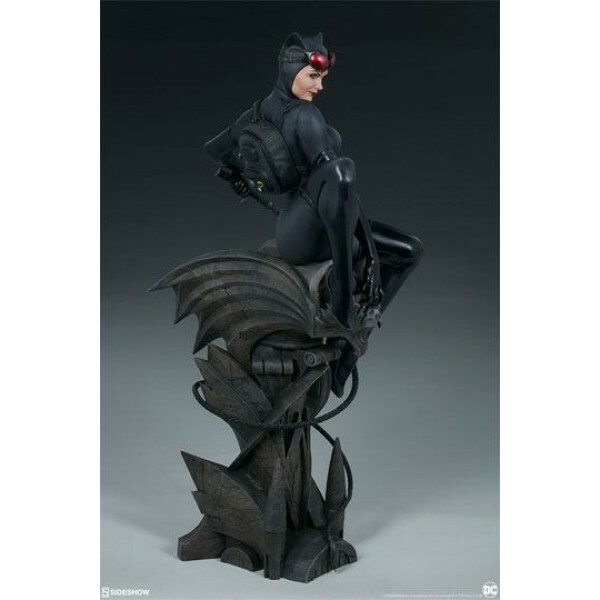 The Catwoman Premium Format™ Figure measures 22" tall as Gotham's feline femme fatale sits perched atop an art deco gargoyle base. 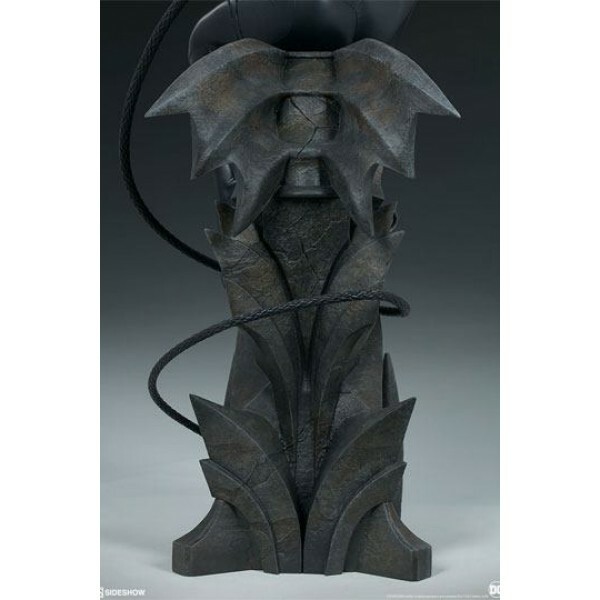 Catwoman has her claws sunk deep into the stone bat's snout while her signature bullwhip curls down the pillar. 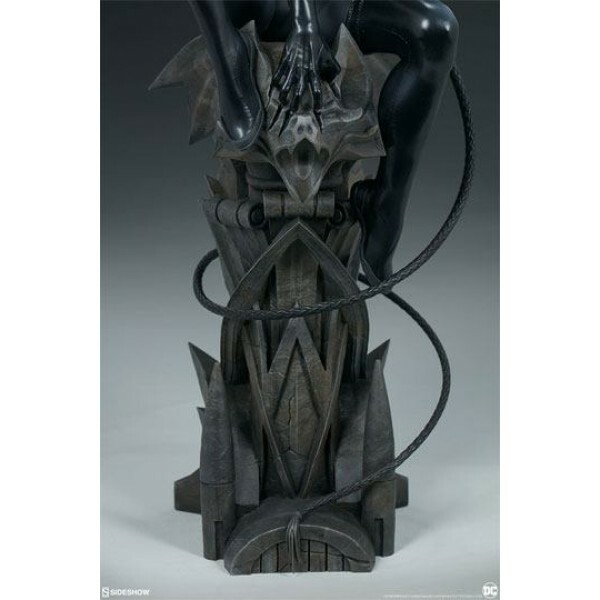 The polyresin Catwoman Premium Format™ Figure features an intricately sculpted catsuit, with varying matte and gloss textures to simulate the different elements of her outfit. 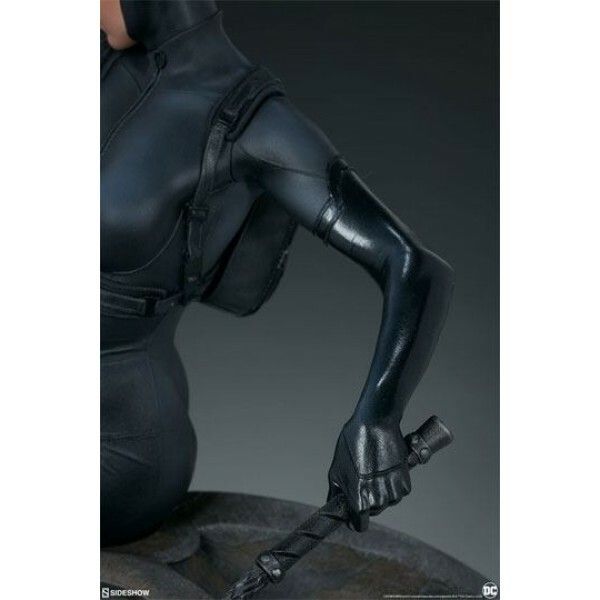 Every stitch, zipper, and seam is carefully sculpted to capture lifelike detail in Catwoman's costume. 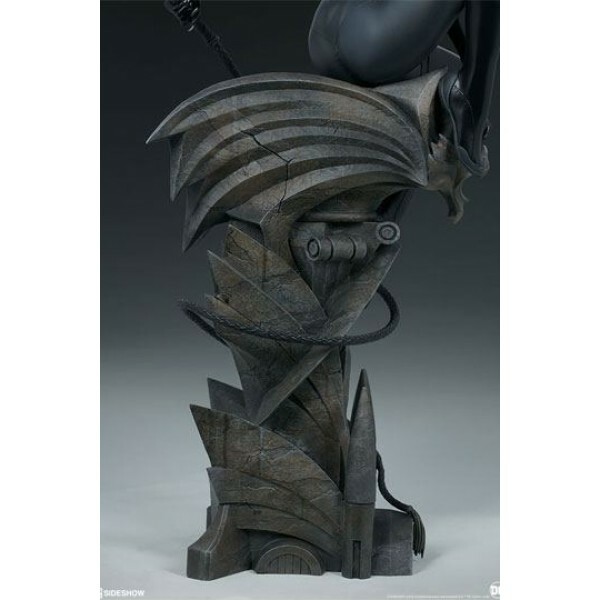 She also comes equipped with a sculpted black backpack with flair, and her cat-eared cowl and red domino goggles. 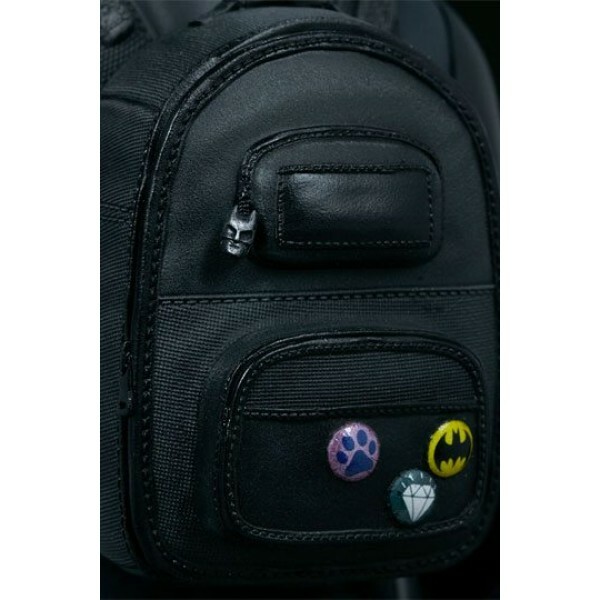 Pair Catwoman with her beloved Batman or with Poison Ivy and Harley Quinn to gather the Gotham City Sirens in your collection. Bring all of Batman's rogues together for the ultimate DC Comics Premium Format™ display. Order the Catwoman Premium Format™ Figure today for the purrfect new addition to your DC collection.